It’s always a bummer when you want to use 2 things and there is no way to do so. 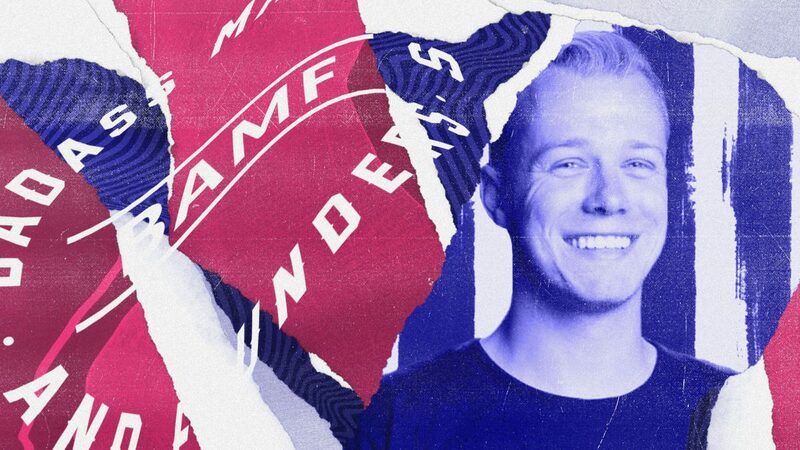 Recently, we had a prospect that wanted to use Viral Loops for a viral giveaway. Great! They wanted to do it through Messenger. Ouch! I thought that we don’t offer that option; “It’s possible”, Thomas said. Now you can run a viral giveaway entirely through Facebook Messenger. This is awesome just for the fact that people are extremely familiar with Messenger- which also helps a lot with the engagement rate. The 1st 100 people that sign up for Viral Loops for Messenger will get 50% off FOR LIFE! What is Viral Loops for Facebook Messenger? Things are pretty straight-forward; Viral Loops for Facebook Messenger is the best way to grow your audience with Messenger Bot Giveaways. We took all the knowledge we had on Messenger bots and created a seamless referral marketing experience. Your audience will be able to participate in your campaigns from inside Facebook Messenger and directly invite their contacts. 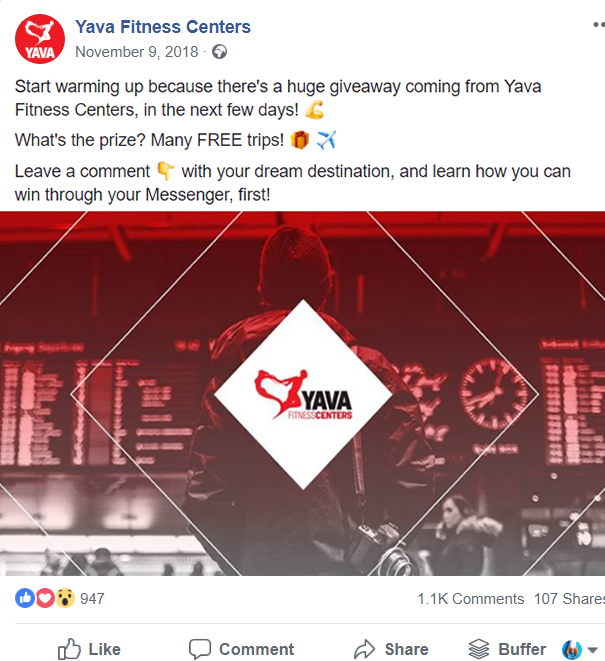 Remember the giveaway they asked us to build in Messenger? It was an utter success! 34819 Messenger subscribers in total. 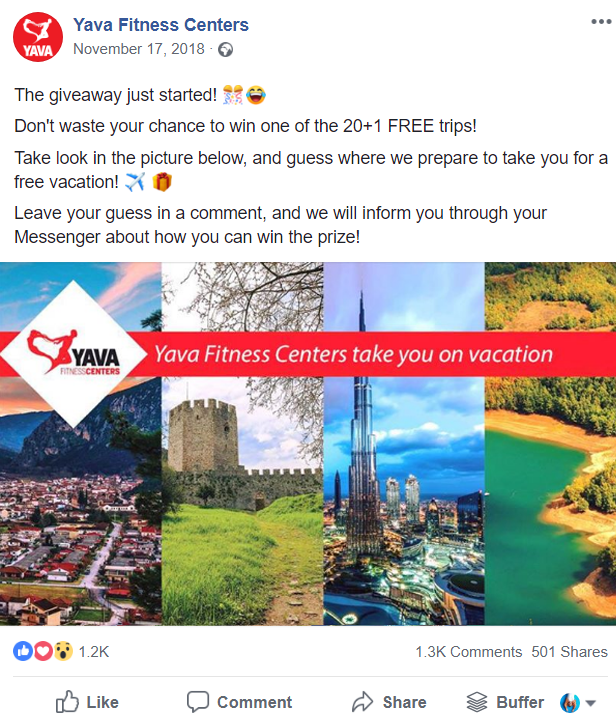 If you want to learn more about the details of this Messenger viral giveaway campaign, you can read our case study. 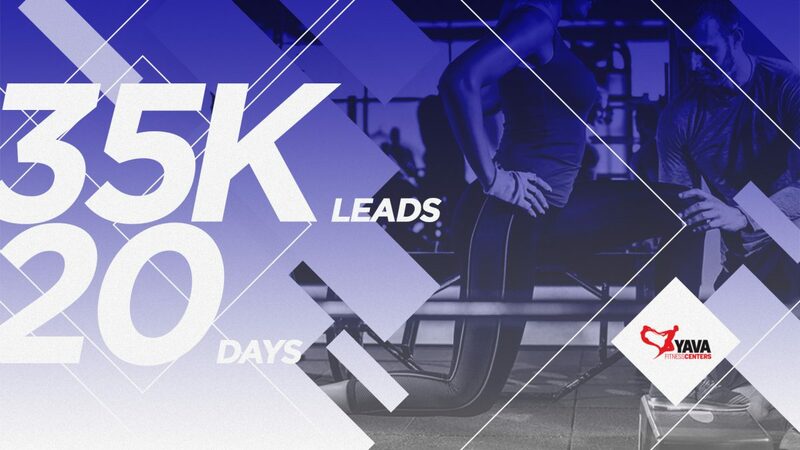 35K leads in 20 days with a Messenger referral. 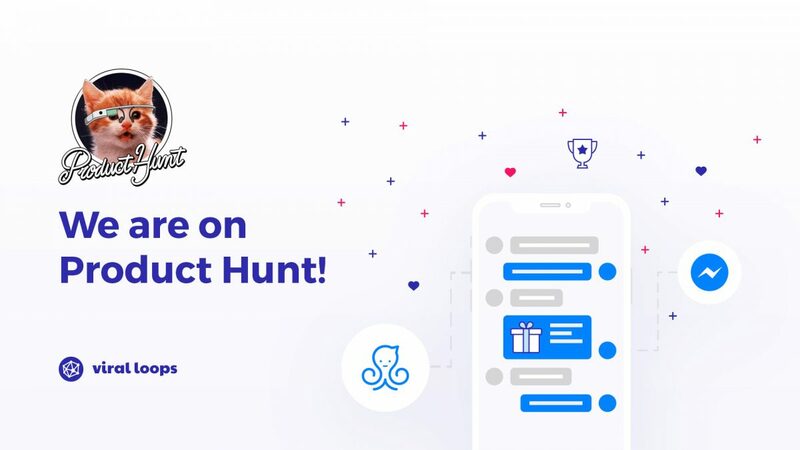 Do you want to run a Viral Giveaway via Messenger? As I wrote in the opening paragraph, Viral Loops for Messenger is LIVE on Product Hunt. Come say hi, and follow the link on the page to start building your Messenger Viral Giveaway. You'll get all the installation instructions directly through your Messenger inbox. 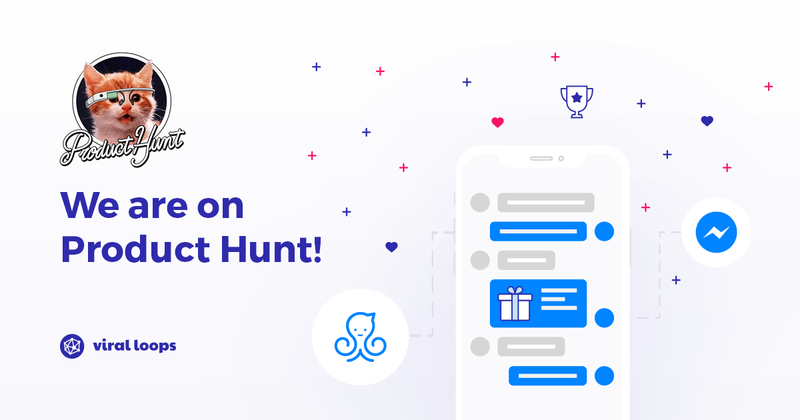 The 1st 100 people to get Viral Loops for Messenger from Product Hunt, will get 50% discount FOR LIFE! I'm always fascinated by projects/companies that don't try to sell something; the fact they're in the game for the value they strive to provide to their audience. That's the reason I love The Hustle! As you can assume by this intro, BeautySavers is one of these cases. Although I'm not into beauty products myself, my gf really appreciated the fact that she could be up to date from one place. 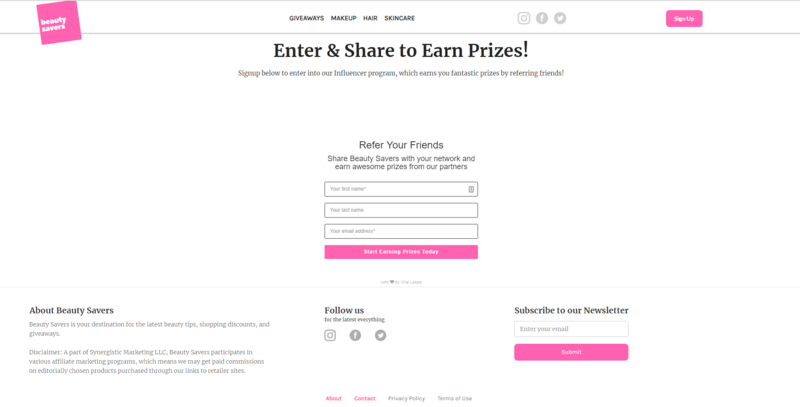 Also, BeautySavers use our Milestone Referral Template for their ongoing referral program. Another reason to get in touch with the people of Firon Makreting (the masterminds behind the project), and learn a bit more about the way they approach this venture. I was intrigued, so I gathered some extra info about their campaign and I present them right below this short interview. Can you tell us about what you are working on? What is Beautysavers? What type of business are you? BeautySavers is a destination for the latest beauty tips, shopping discounts, and giveaways. 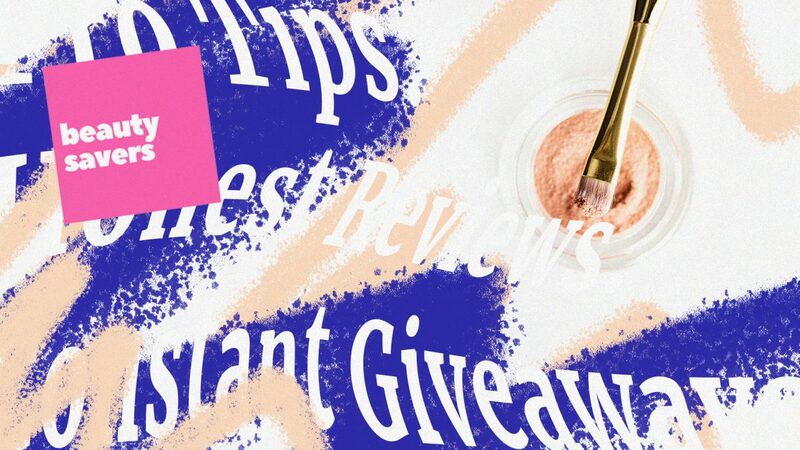 The giveaways are weekly and feature great value beauty products which are reviewed by the Beauty Savers influencers. There is an influencer for each beauty category (Makeup, Hair, Skincare). We've built this community on the great relationships we have with beauty brands because we bring awareness to their products through giveaways, reviews by our trusted influencers, and our referral programs. We're here for the audience. It's our mission to find great products at great prices, and give away as much of them as we can! BeautySavers utilizes Viral-Loops to provide a referral program which we use to reward our loyal audience members. In return for sharing with 5 friends, a Beauty Savers enthusiast will receive a Tula Daily Cleanser which has a value of $10. Beauty Savers was built by Firon Marketing to grow a beauty audience which it can distribute the product for its beauty brand partners. We're here for the audience. We are trying to get more sign-ups/subscribers, so we can reach bigger beauty brands and give away more products to our loyal audience. We are quite in an early stage (less than 6 months old), but growing fast. How are your customers using Beautysavers? Could you share a few different use cases? Our customers (audience members) are using Beauty Savers to hear about new products, get products for free, and interact with each other. Users share photos of their rewards and heavily engage (over 150 likes and comments per contest post) every week with our social posts. 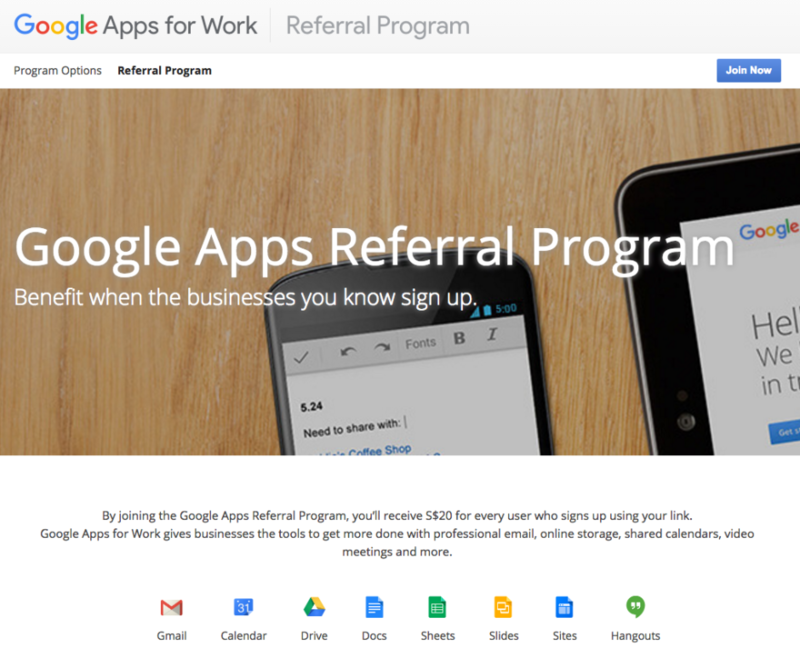 What made you want to run a referral program? What was your goal? 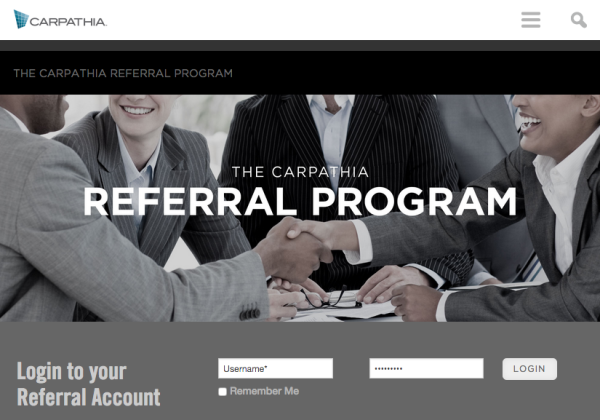 We ran a referral program to multiply the incentivized traffic we generate with organic shared (referred) growth. The referral traffic has been incredible in its retention as well as its volume. How did you promote your campaign? How did you get your first participants/referrals? We utilize social media ads and influencer features. Did Viral Loops help you with your campaign success? If yes, how? Yes, the technology was easy to set up, embed in our website with our own branding, and it's affordable. 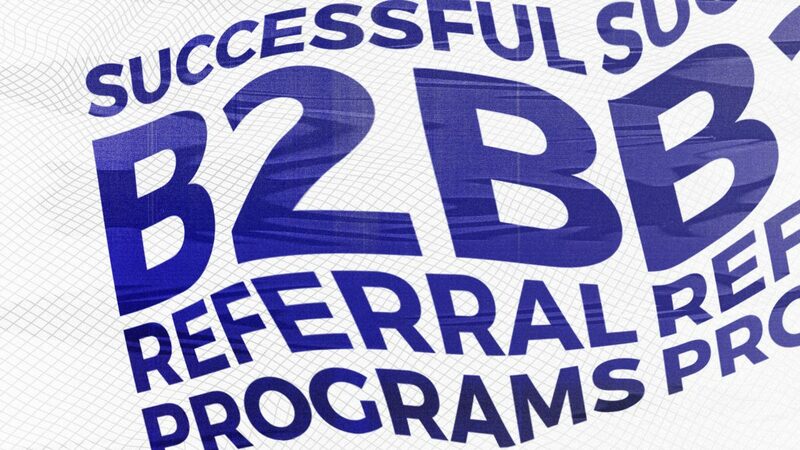 Do you generate sales from word of mouth and referrals? If so, can you describe how? Can you share with us some results/metrics of your Viral Loops campaign? How did it perform so far? We don’t sell anything, so the traffic generated by Viral-Loops is clear in the dashboard data. 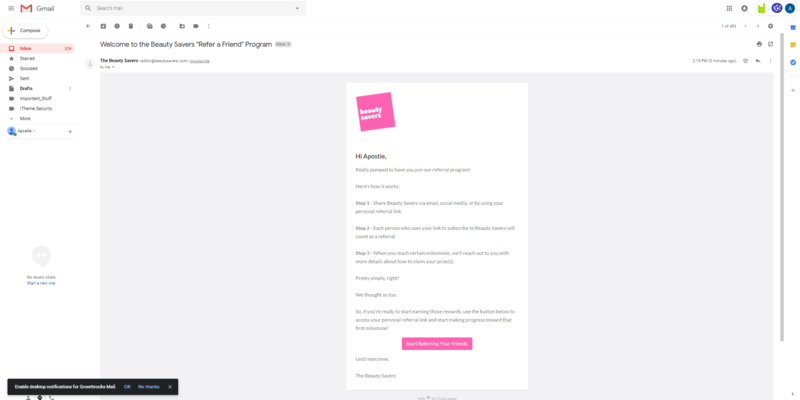 If you want to build your own Milestone referral campaign, all you have to do is to sign up for Viral Loops and use our pre-made template inspired by Harry's. 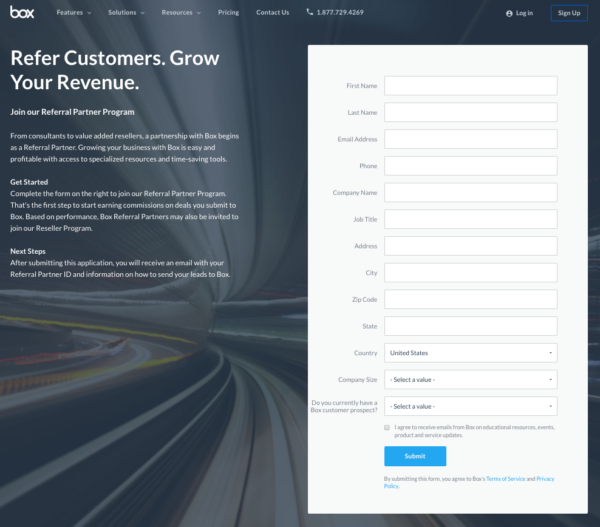 As in every successful Milestone referral campaign, it all starts with a nicely designed landing page. Copywriting is also important, and BeautySavers really nailed it! 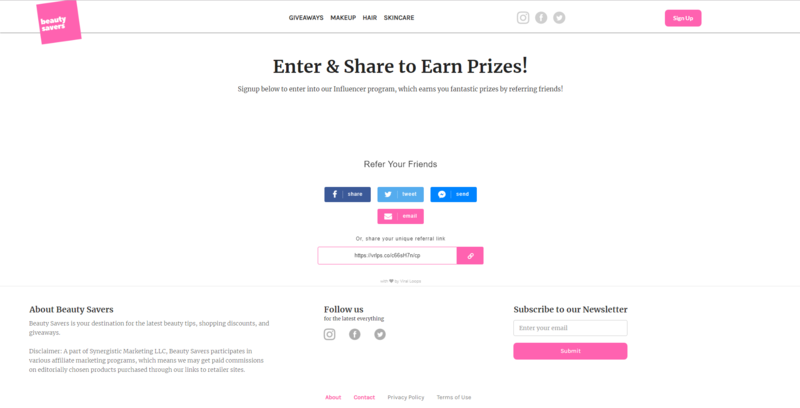 After signing up, I got redirected to a 'Thank you' page, which prompts users to share their unique referral link in order to win the prizes. At the same time, I received my welcome email that also prompts to share my unique link with my network. In order to test things out, I invited George (I don't think that he is a fan of beauty products, but he was immediately available) to join the referral. Once he signed up for the campaign, my successful referral count went from 0 to 1 in my Personal Referral Center (as BeautySavers name it). Also, I received an email informing me about my about my small win. I will see you very soon with another interesting case, so make sure to subscribe to our newsletter in order for you to get it first!